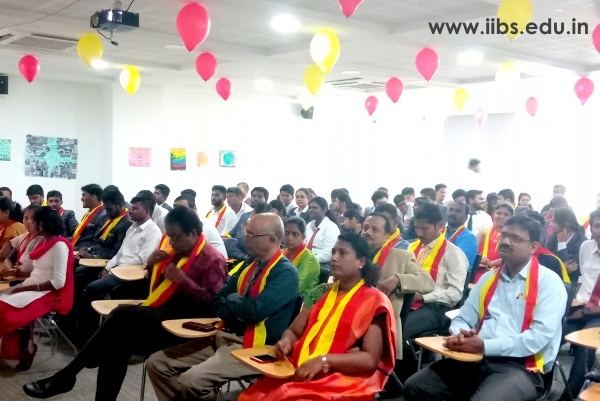 Kannada Rajyothsava is celebrated on at IIBS, Airport Campus Bangalore as tribute to formation of Karnataka State. The program is co ordinate by Prof. Samiya Mubeen. The event is hosted by the students. The event conducted at the IIBS New airport campus is presided by Prof. Kuldeep Sharma, Dean, Dr Raja Soluchana, Principal and Prof. H. Prabhakar as Head of the department, PGDM. 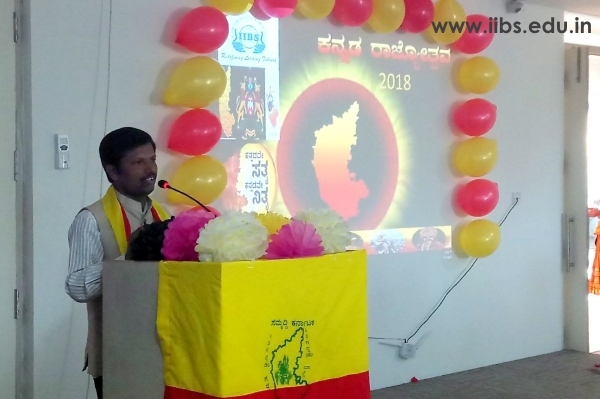 Dr. Basavaraju K.B Assistant Professor Dept of Kannada has anchored the event with great zeal till the end of the event. The event started with lightening of lamp by Dignitaries and Ganesha Vandana by Students. Later the Prof. H. Prabhakar addressed the gathering and explain the formation of Karnataka state, its culture, diversity, and so. 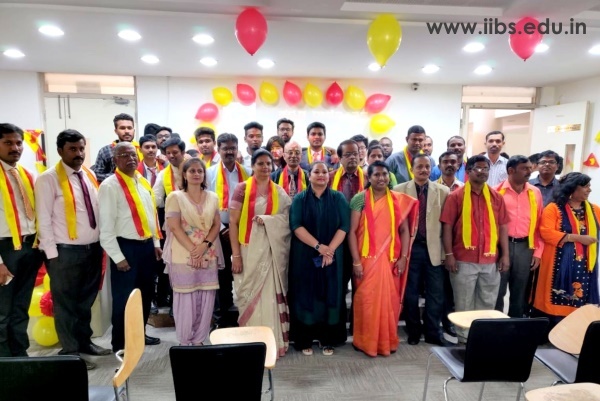 The all IIBS family members joined and participated in gracious occasion to be successful. Many students came forward to share the History, origin, culture, ethnicity. 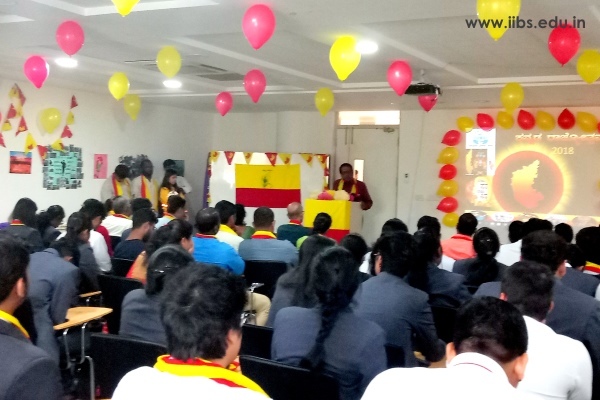 Later the Mr. Ashish the student of MBA had given speech about Kannada rajyothsava and importance of Kannada Rajyothsava. 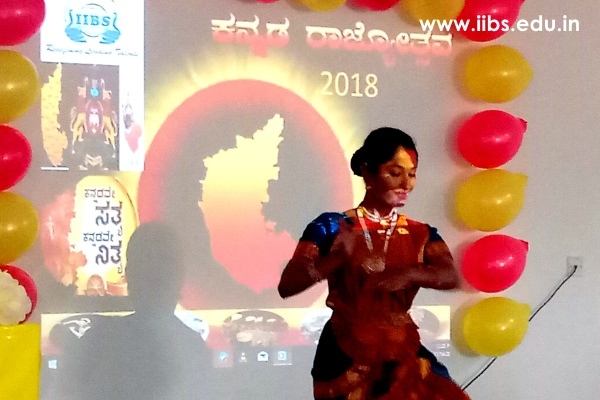 The video is presented by Mr. Tejas with the co ordination of Mr. Prithvi PGDM students on Karnataka, its culture, nature and so.